Since the age of ten making homemade granola bars has always been a favorite activity of mine. It’s super easy, and you can change up the recipe as much or as little as you want. There are endless combinations to keep you making more for years to come. This recipe is extremely simple. When making the bars you need to stick to the main mix but you have the freedom to add in the extras. Preheat the oven to 350 degrees. Line a 9- inch baking dish with foil and lightly spray with cooking spray. Place the oats and the nuts on the baking sheet and bake for about 8-10 minutes, or until lightly toasted. Place oats and nuts in a large mixing bowl. While your oats and nuts are in the oven, in a small saucepan add honey, butter, and brown sugar. Cook over medium heat or until the butter melts and the sugar is dissolved. Stirring occasionally. When the butter mixture is ready stir in the vanilla extract and salt. Then pour the mixture over the oats and nuts. Add in the add in’s of your choice. Quick tip: if you are adding chocolate wait about 15 minutes for the mixture to cool down a bit before adding. When making the bars you can either put them on a cookies sheet to set or in a muffin tin. I prefer a muffin tin because they seem to stick together better that way. The best place to store these tasty treats is in the fridge. For more fun recipes like this check out our recipe section. Check out the Fill Your Plate Blog for articles about healthy eating. Ever wonder what produce is in season? Check out the Arizona Produce in Season section. 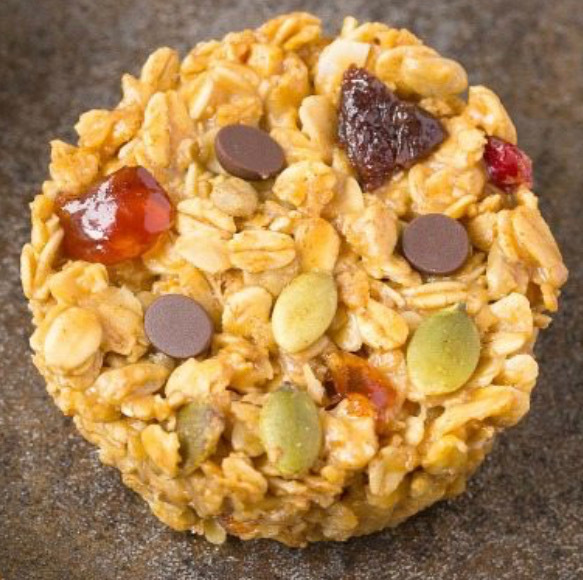 This entry was posted in Cooking, Fill Your Plate, Food, In the Kitchen, Just For Fun, Kids, Recipes and tagged Family fun, Granola Bars, In the Kitchen, Make your own, On the go, Quick and Easy. Bookmark the permalink.